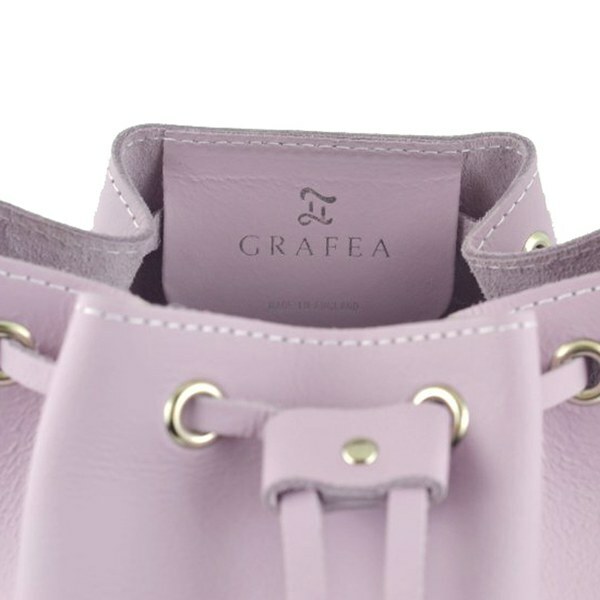 Women's purple leather bucket bag from Grafea. 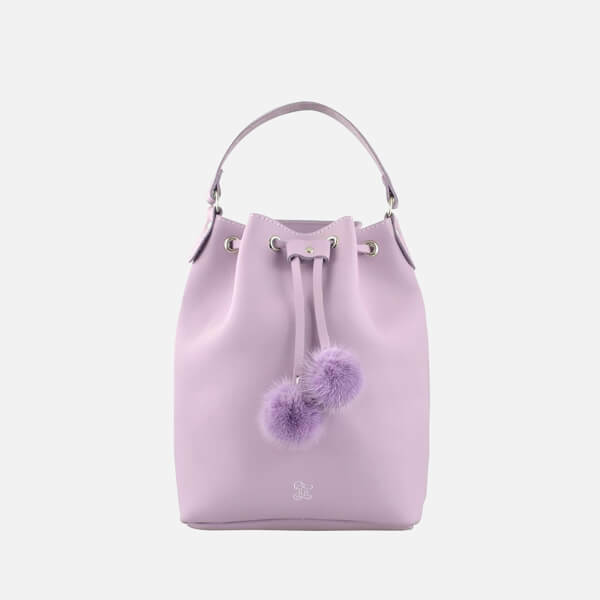 Made in England from luxurious leather, the ‘Chérie’ bucket bag features a spacious main compartment that is closed via a leather drawstring fastening with silver metal eyelets and tonal pom pom detail. The versatile bag can be transported via a leather grab handle or the detachable shoulder strap. Complete with a signature logo to the front. – A.D.